All our programs include full use of the Kingpin Cambridge facility, with the addition of bowling, laser tag, arts and crafts, and games. Lunch and snacks will also be provided each day. All day camp programs are designs for ages 4 – 12 year. $47.95 for a full day session per child when booked more than 3 days in advance. 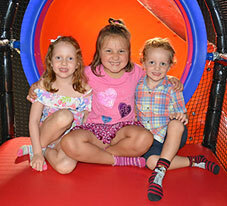 $52.95 for a full day session per child when booked 1 to 2 days in advance. $55.95 for a full day session per child when booked day of camp. $285.00 for your choice of any 7 full day sessions per child. Must be booked and paid for prior to first PD day. Day Camp hours: 9:00am - 4:00pm. Extended care hours: 8:00am - 9:00am & 4:00pm to 5:30pm. 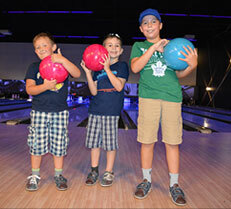 Keep the kids active & entertained at Kingpin Cambridge's new summer day camp! Kids will have the chance to meet new friends, and learn valuable life skills while having their most fun summer yet! 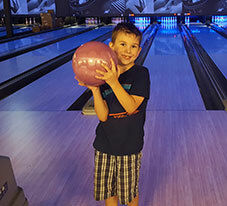 Sportsmanship, turn-taking, and time management, are just a few skills kids will learn while enjoying all the fun activities Kingpin has to offer including bowling, laser tag, play structure time, crafts and games. Twice* a week, kids will even get to visit Big Splash Waterpark in Kitchener! Healthy lunch and snacks are included daily! Round Trip Transportation provided. Bus leaves Kingpin Cambridge at 12:30pm and returns at 4pm. *4 day weeks enjoy 1 visit to Big Splash Waterpark. 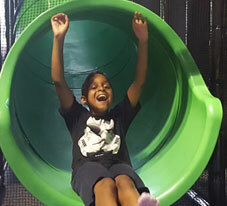 All our programs include: full use of the FunworX facility, with the addition of bowling, Rocks & Ropes Course, arts and crafts, games, outdoor time (weather dependant). Lunch and snacks will also be provided each day. All programming is designed for ages 4 - 12 years.